Juggling between sports fixtures and "organized bands of clouds" - some of our summer events had to be postponed, rescheduled, adapted to the circumstances. and then to the Curragh with Dr Pat McCarthy. 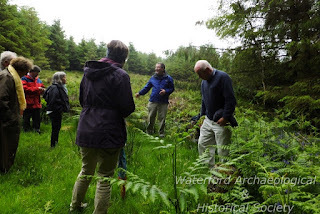 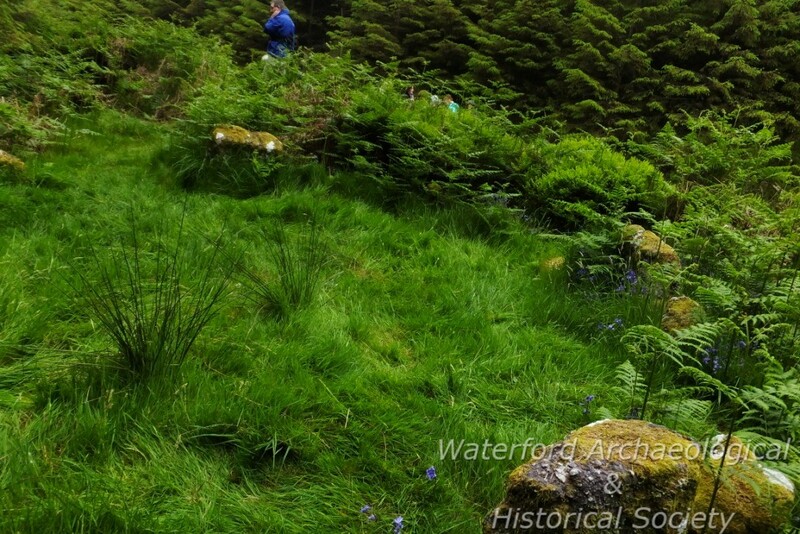 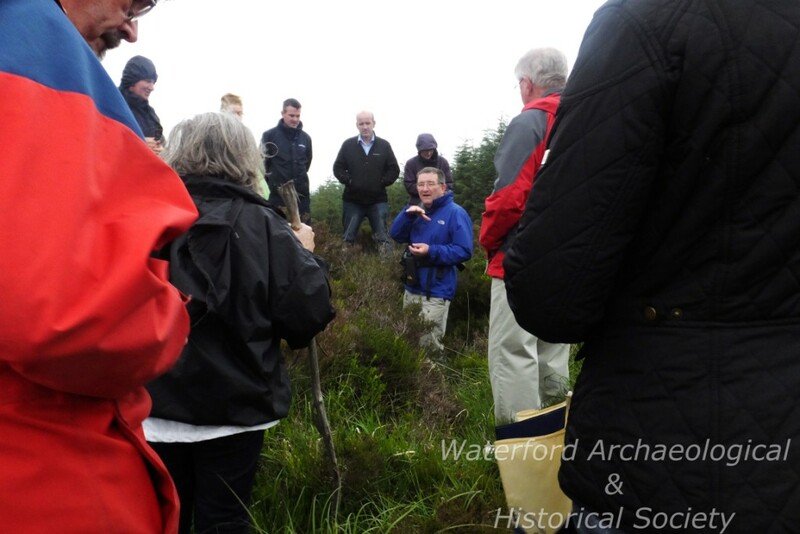 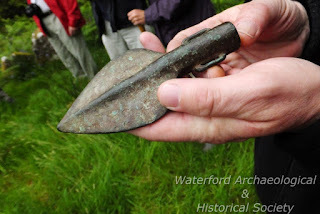 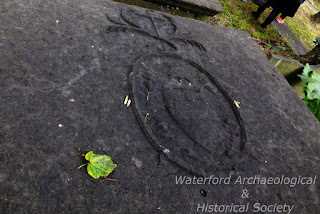 Following that the first outing in June took us to Ballymacarbry where we met Michael Desmond who led us through the woods to discover two megalithic sites. 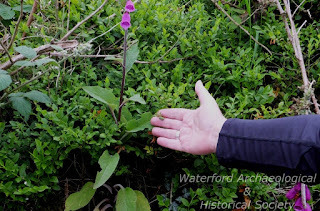 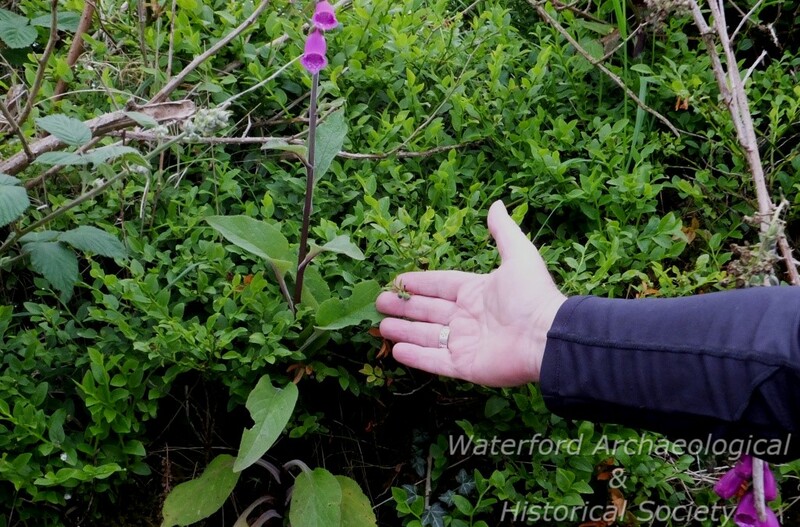 Beyond the history, (from Bronze Age to the revolutionary years) we also learned much about the plants growing wild and their dangers or benefits. 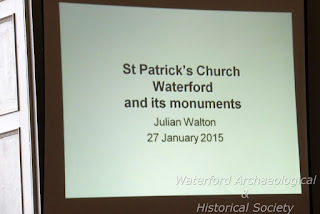 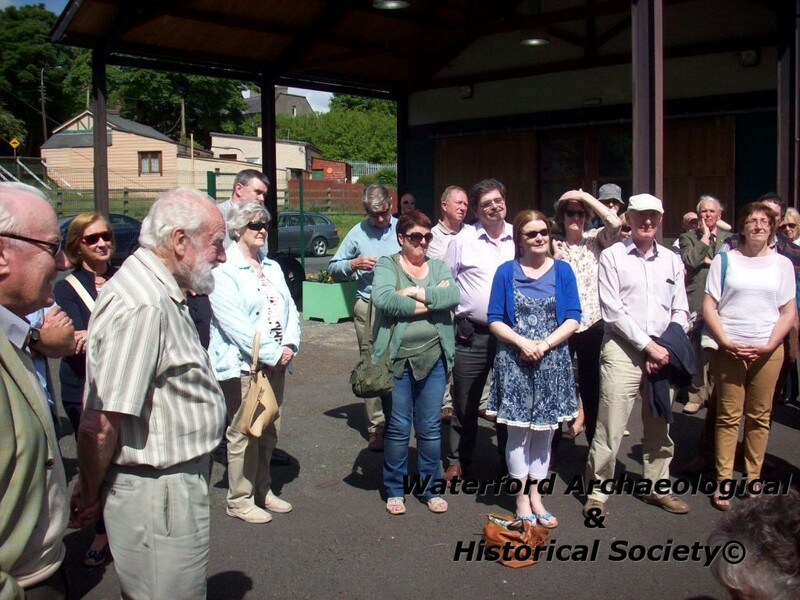 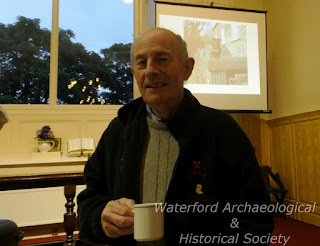 In July we met in St Patrick's Gateway Centre in the city, to be shown by Mr Julian Walton some of the remarkable headstones of the graveyard. 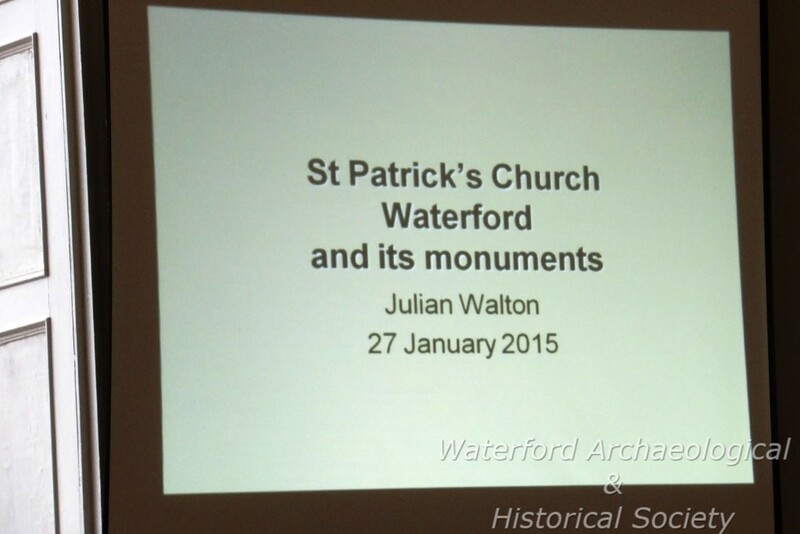 Julian gave us a short talk beforehand (date on slide from a different lecture!) 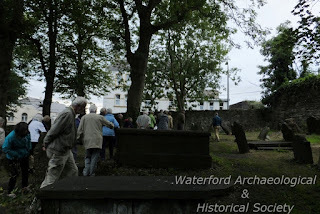 and we went to the graveyard to identify some of the features, however the light was not the best due to the cloud cover and we adjourned to the church for a warming cup of tea! 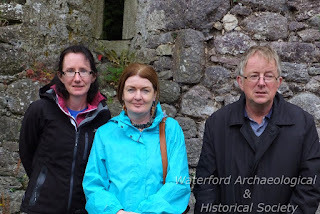 The August outing to Tintern Abbey was cancelled and the outing to Seskinan Church -originally planned for July 12th - was rescheduled for August 16th. 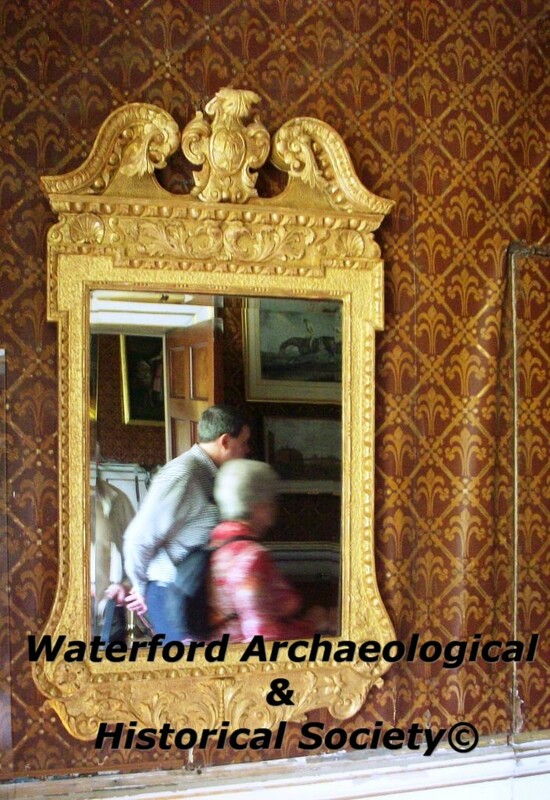 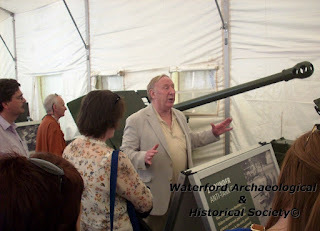 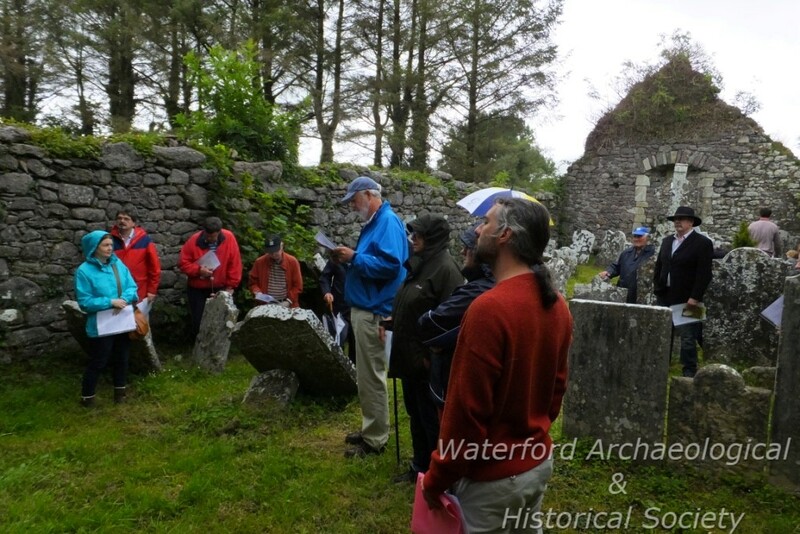 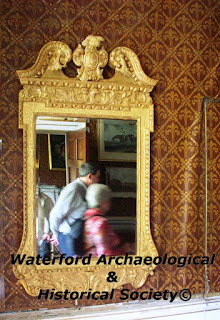 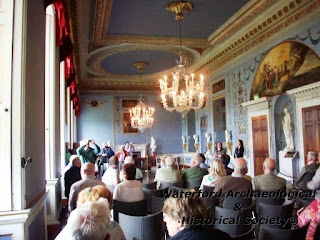 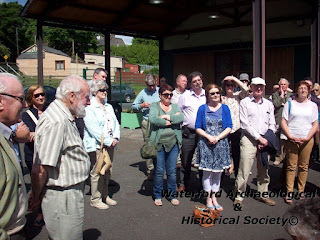 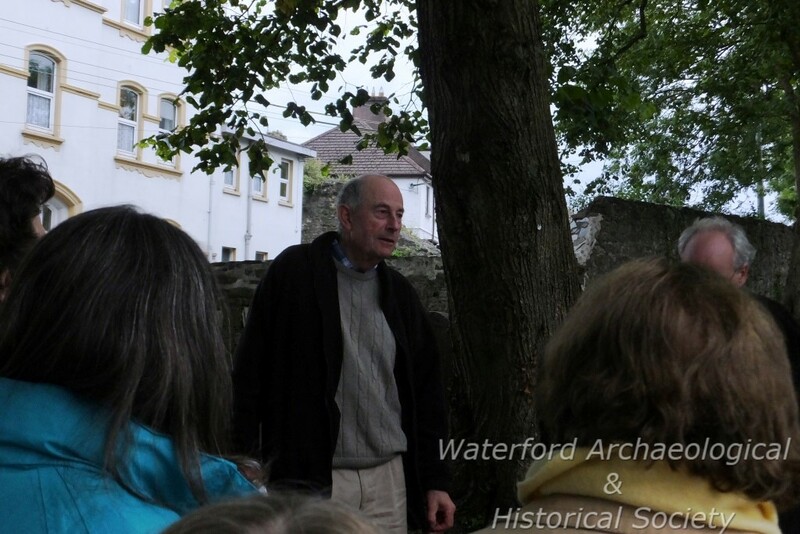 On that day we met Dr Nora White (from the Ogham in 3D Project) and local historian Mr Brendan Coffey . 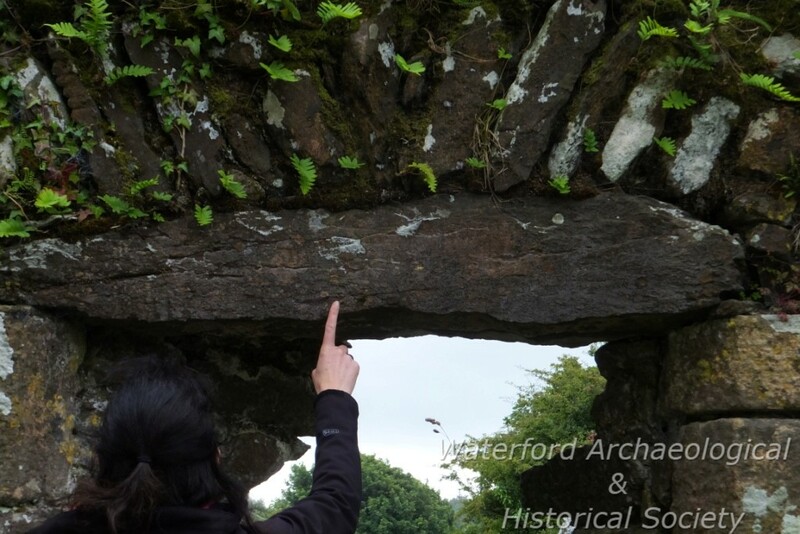 We learned some of the history of the parish, and Dr Nora White showed us where the Ogham stones had been used in the building of the church, mostly as lintels.